The 12th Annual Nikonians Photo Adventure Trip (ANPAT) was a rousing success with 32 Nikonians participating from all around the world. 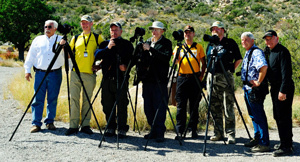 Our intrepid group of ANPAT attendees explored the wilds of New Mexico from the air and the ground as we aimed our cameras at anything that struck our fancy. The current edition of The Nikonian eZine #52 (now available for free download) features a couple of ANPAT 12 images and a special edition of the eZine coming soon will have more. We have already started planning for ANPAT 13, so if you missed this year's adventure, there is always next year. 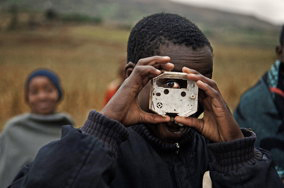 This week we are running photography workshops in Atlanta, GA and Chicago, IL. Our Atlanta workshops are sold out and so are some of our Chicago workshops. We only have one seat remaining in our Chicago Master Nikon D800 and D4 In Depth, and two seats remaining for our Master D800 and D4 Advanced workshop. 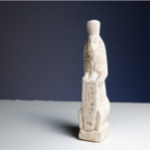 For you New Yorkers, we have available seats for our workshops from November 14th - 18th. These workshops include topics covering the Nikon D600, D7000, D800, D4, and Steve Simon's famous The Passionate Nikon Photographer. For our Australians out there, we have an Internet Webinar scheduled for you in November titled Master the Nikon FX Camera. The online workshop will run over four days, with a 2-hour session each day. This will be set to air between 8am - 10am Australian EDST each day, starting on November 12. This webinar is open for anyone who wants to attend, but was specifically designed for our Nikonians members in the Australian time zones. 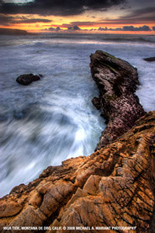 The workshop is designed to help you learn the ins and outs of the Nikon D700, D800, D800e, D3, D3s, D3x, D4. December brings Academy workshops to Las Vegas and San Diego including Master HDR Photography, Master the Nikon D800/D4, Master Adobe Lightroom, and Master iTTL Wireless Flash. Some of these classes are already sold out, so don't delay in signing up if you are interested in attending. 2013 is shaping up to be a banner year with workshops spanning the globe including Yosemite, Puerto Rico, Yellowstone and Grand Tetons, Tanzania, Italy, Death Valley, Iceland, and most major cities in the USA. We are adding more cities and topics to the website every day. The anticipated latest eZine issue is now available! Enjoy many hot topics, news and product reviews. This edition includes how-to articles by Josh Larkin and Mike Hagen, a new Photographer's Eye entry from Italy's Marco Barracco and a Darrell Young decision making guide for those members contemplating a purchase of the new Nikon D600. Now hold on people, we're keeping this strictly PG, don't you worry! Read the latest in the series of Josh Larkin's articles, and find out what we mean here. 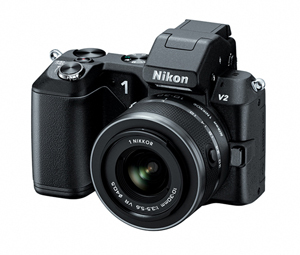 Nikon has announced the newest addition to the Nikon 1 System, the Nikon 1 V2. 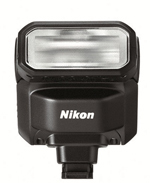 The Nikon 1 system will also have a new speedlight in January, designed for connection to the Nikon 1 V2 i-TTL hot shoe. 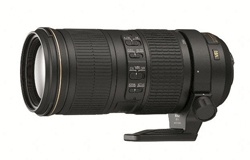 Nikon also announced the new AF-S NIKKOR 70-200mm f/4G ED VR telephoto zoom lens, featuring five stops of VR image stabilization. Highlights on the new releases are courtesy of the Nikon USA Press Room. Take the journey, to a learner's guide of Learning to Light. Feel at ease, that being a beginner in this realm, is a.ok! So breathe easy, and stay tuned for the series to learn, more! Read article, here. Get Your Flash off Camera for Better Photos! Making Hay When the Sun Doesn't Shine! Ever had one of those days with Photography? Read the latest article and have a birds eye view, you can relate to, here! There are days when we photograph, and things just couldn't be going better. And of course, there are days, when your gear doesn't want to cooperate, and maybe Mother Nature, too. This doesn't mean all your photos won't shine, see what you can do and relate to! Can't see the article? Upgrade today, and view more! Discussion will be on the Famous Haunted House of Hardwoodlands, in Nova Scotia. The Fallen down church where Heather heard Peter to say stop. Does Peter have insurance, while he scares Heather to get the shot he must have? Discussions lead to other photo shoots such as their trip to Salem, MA. Previous combined work include their photo shoot on Good Friday. Join Peter on Twitter, visit their sites on Facebook. Want to know who’s tech savviest? Who’s a photo guru? Which articles are hot to read? The Nikonians ask, and we give! There are new features that allow users to see, who’s recommended in the community, who’s mastered the art and science of photography, and what the current hot topics are. How, you ask? Now, you can see which of your fellow Nikonians is recommended in the community! We’d like to share recognition among our neighboring Nikonians for their support, wealth of knowledge and know-how. In a way, this acts as a “go-to” person, for having factual and substantial information in our forums/comments. Now, you may easily recommend a member in the Nikonians Community, simply by clicking on the link: “Recommend Member” in the forum and topic of your choice. For further details, please refer to our FAQ’s, for more step-by-step information on this. When entering into the forums, and reading up on your favourite topics, whether old or new, you will find the option to, “Rate this Topic”, on the top right hand side of your topic to read. A simple drop down menu labeled: “Rate this topic” allows you, the user, to express your thoughts about the topic in a numbered scale from 1-5, five being a Must Read. Through this, users are able to engage whether or not this topic was useful, inspiring and insightful. For further details, please refer to our FAQ’s, for more step-by-step information on this. Ribbons are signs of recognitions. Much like, a badge of pride you pin to your chest after your win the potato sack race – only in this case, you have it pinned to your username! They are awarded to members in the Nikonians Community for their high skill levels of expertise and on-going contributions of sharing, learning, and inspiring. These are members who have helped us make Nikonians, what it is today. For further details, please refer to our FAQ's, for more information. Google malware notification revoked. Servers confirmed safe for all visitors. Google site scanning found a piece of code on our site that could be interpreted as possible malware. We have made the appropriate substitutions and that has appropriately resulted in the warning status from Google being eliminated. The site scanning technology was beneficial in alerting us of a possible problem; however, the automatic procedures, which necessarily followed, resulted in warning messages on numerous browser platforms. In addition, while we made our adjustments we had pages offline temporarily. We are thankful for the opportunity to corroborate that we are clean and safe as we have been for over 12 years now. We are very sorry for the inconvenience and confusion that this may have caused. As the technology that allows us the opportunity to share, learn and inspire each other with written text and images evolves, there will always be security risks involved and although the Google site scanning caused a temporary breakdown in the smooth flow of communications within the community, we are appreciative of their extra layer of security. We are experiencing some technical difficulties with our webpage in conjunction to Google. We are working on resolving this matter. For the time being, to avoid this message from Google's search page, please simply visit us directly through: www.nikonians.org and click on "Proceed Anyways" as this link is verified to work. Save this address in your favourites!